Dreams came true for NHL executives on Sunday when NBC announced that Saturday’s Stanley Cup Finals game 1 between the Flyers and Chicago Blackhawks was the most watched opening game of the finals in 11 years. With just hours to go before the pucks drops on game 1 of the Stanley Cup Finals between the Flyers and Chicago Blackhawks, here is a beautifully made fan video to get you even more psyched up than you probably already were. Chris Pronger is sick of hearing about Dustin Byfuglien. After a week of being swarmed with questions regarding the 6-foot-4, 270 lbs. 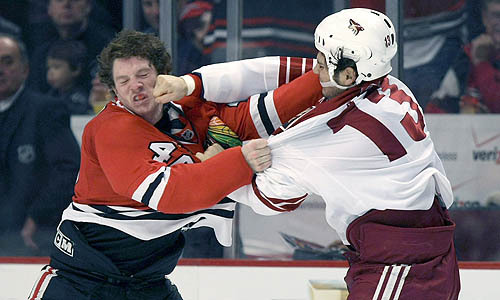 Chicago Blackhawk forward, Pronger seems to have simply had it. “Congratulations,” Pronger said to a media member when confronted with facts about Byfuglien scoring from the slot in the post season. 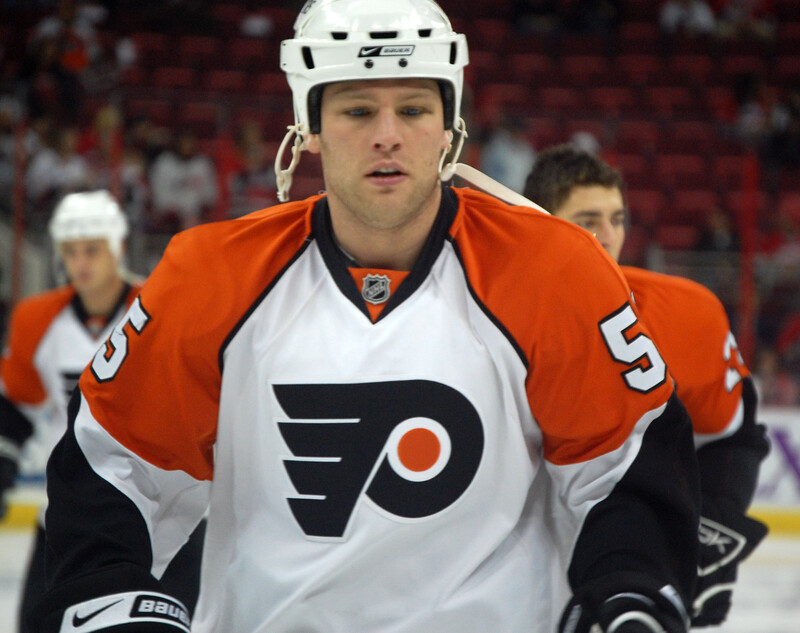 One of the fondest memories of Ben Eager’s career came in 2004-05, when he, side-by-side with Flyers Mike Richards, Jeff Carter, Riley Cote and now Chicago Blackhawk teammate Patrick Sharp, brought the American Hockey League’s Calder Cup home to Philadelphia. But now, as members of the Blackhawks ready to face a few of their old comrades in the Stanley Cup finals, both Eager and Sharp will have to put friendships and the past behind him and start preparing for war.